This week I found myself belly up to the bar in Finland, at a place called Our Place, downing one of the finest cold ones I’ve ever had (nearly a full pitcher of it). I had ambled in with a buddy who was wearing stretchy spandex pants and bike shoes that clickety clacked as we not so stealthily moved across the room and attempted to “blend” in. 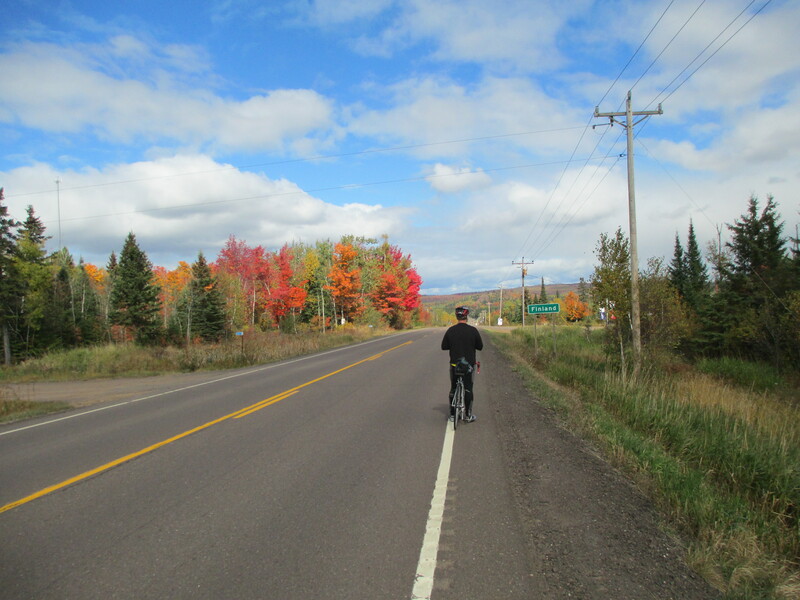 We were smack dab in the middle of one of the finest bike rides of my life, and had pedaled up from Gooseberry Falls State Park. 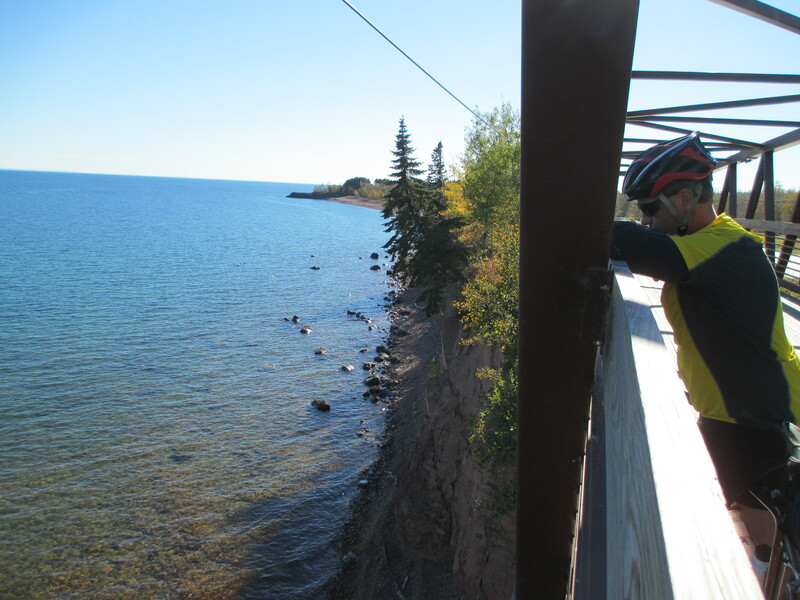 We started out on the Gitchi-Gami State Trail, which will ultimately stretch from Two Harbors to Grand Marais when completed. Currently the longest completed continual stretch runs 14 miles from Gooseberry to Beaver Bay. 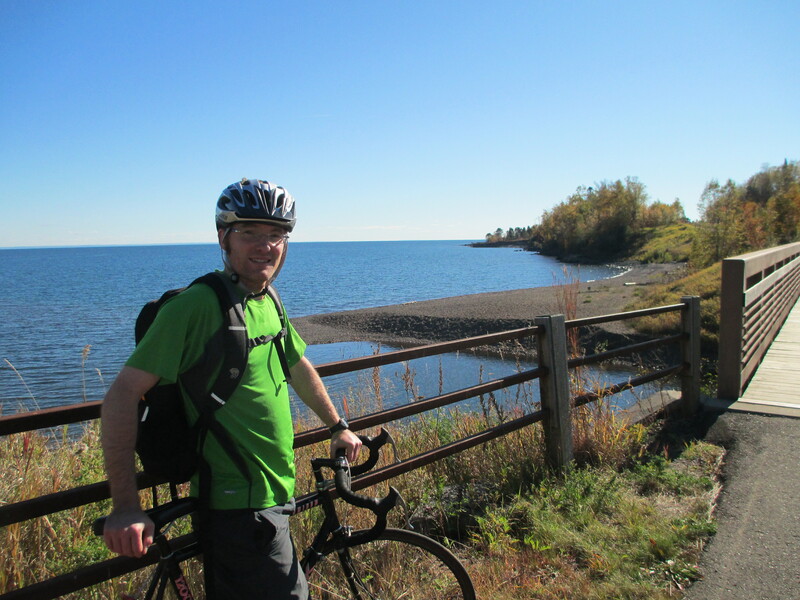 It was a dandy of a ride with numerous ups and downs, curves, some bridges, sweeping views of Lake Superior, and spectacular scenery. 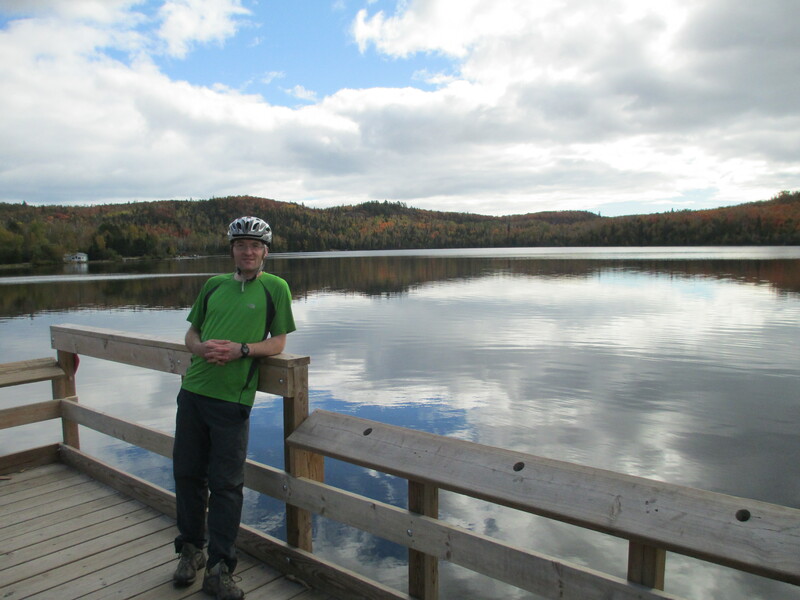 This trail, when completed, will be far more challenging and rewarding than the standard rail to trail variety due to its varied scenery and topography. 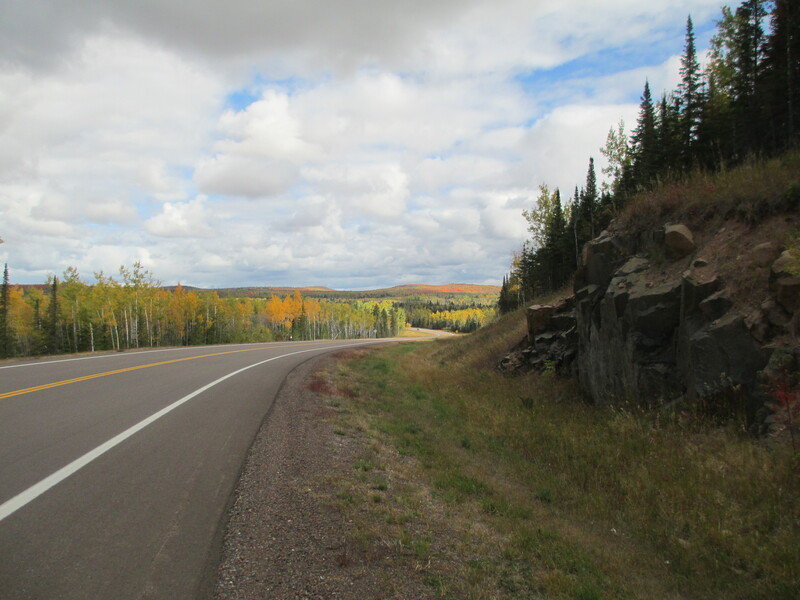 From Beaver Bay we headed west and north into the interior on County Road 4 and then up the Lax Lake Road where we skirted the edge of Tettegouche State Park. These roads were VERY hilly, and though my legs were screaming, they were extremely interesting and fun to ride. The landscape was exceedingly grand with spectacular views of unspoiled forest, rocky outcroppings, and numerous maple trees abounding in vibrant color. The colors at first seemed somewhat muted by the drought conditions, but the closer we got to Finland they became brighter. By the time we reached Finland proper we arrived at what I believe is some of the finest topography of the North Shore. 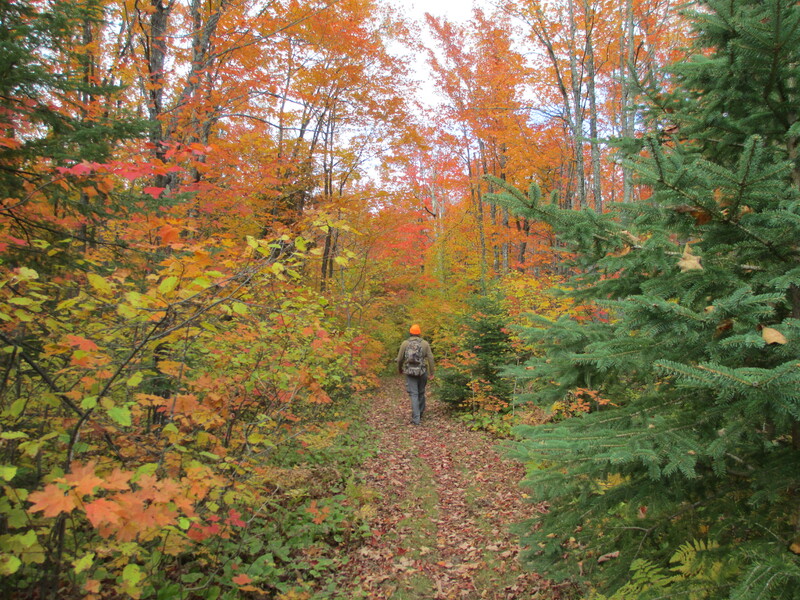 The hills are plentiful and rugged, and the stands of maples are unsurpassed. The colors were eye popping in all directions as we descended HWY 1 into Finland for a fantastic lunch at Our Place. Back to my drink, it was some of the finest water ever to enter a man. Nectar of the gods you might say. Cold, clean, and pure. The way water should be. It was so good I forgot to be embarrassed of our beverage choice as we dined on fantastic hamburgers on toasted buns. Maybe I don’t get out much, but this was a most welcome oasis on our journey. After lunch we turned around and road the same way we had come. Amazingly, other than the final roller coaster descent, it seemed more hilly on the way back to the Lake than the road had been traveling inland to Finland. Up up and up we road, but the view is so unendingly spectacular that the rider gladly presses on. It felt like riding in parts of Alaska might. By the time we returned to Gooseberry my legs were completely shot. As out of shape as I am, I was thankful to have been able to complete the ride. The total distance was approximately 57 miles, and these are quality miles in every sense of the word. This had been a fantastic climax to 3 consecutive days I took off from work due to such perfect weather. All summer my vacation days involve family trips and home improvement. When the kids go back to school, however, I’m afforded the luxury of some personal days enjoying adventures that I enjoy personally. Rather than taking away from a family day on a Saturday I find that mid-week adventures work best for this sort of thing. It’s amazing to live in a city that allows for surgical strikes into the heart of real wilderness in a short period of time. On this particular day I was even back for supper with the wife and kids and telling tales of the adventure. 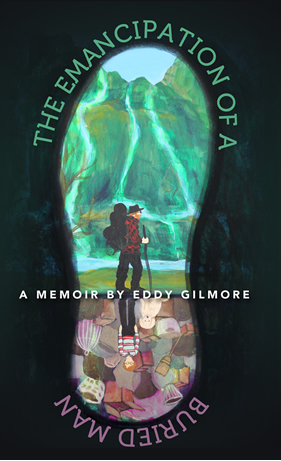 The day before I spent hiking a dozen miles with another friend on the Superior Hiking Trail near Finland, and I was still able to make it home to bed as the daylight was squeezed out, as if from a cider press between major adventures. Day one had allowed for the greatest adventure, a morning date with my wife. It was all quite the trifecta. You have some beautiful pictures of your adventure!! Good for the little children too! !